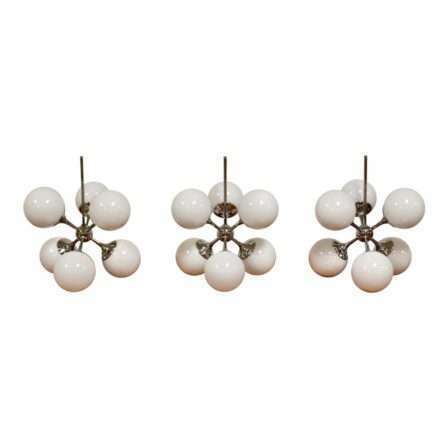 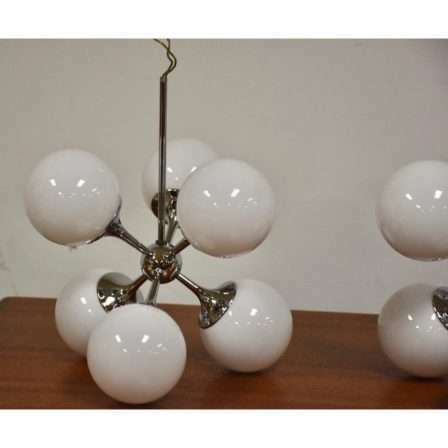 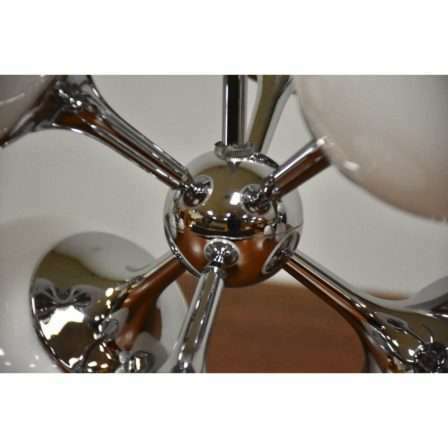 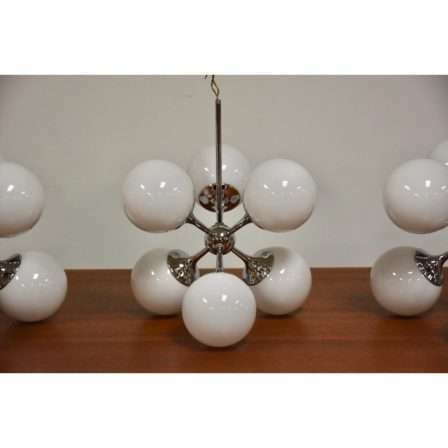 Description:A rare set of three chrome sputnik light fixture chandeliers with white glass orb shades made by Lightolier. 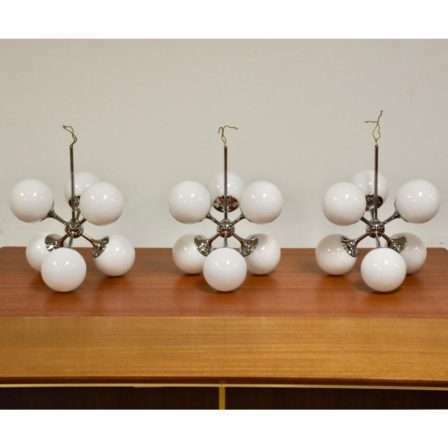 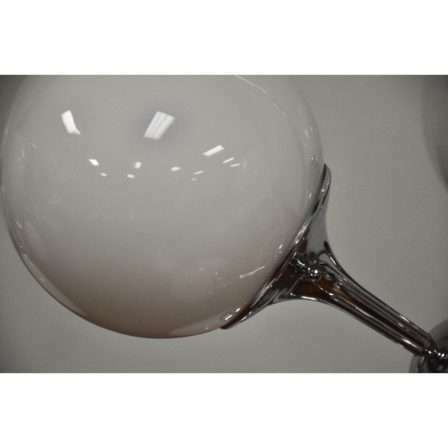 These would work well over a kitchen island. 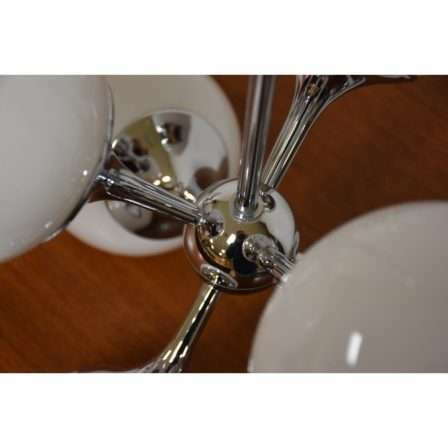 Measurements do not include the stem. 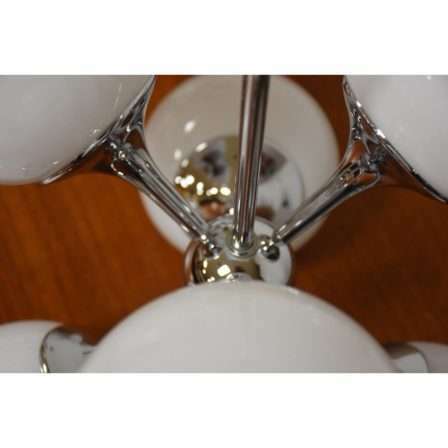 Stem can be replaced to allow the lights to hang lower or be used with a chain.